Time to get new glasses or an eye test? 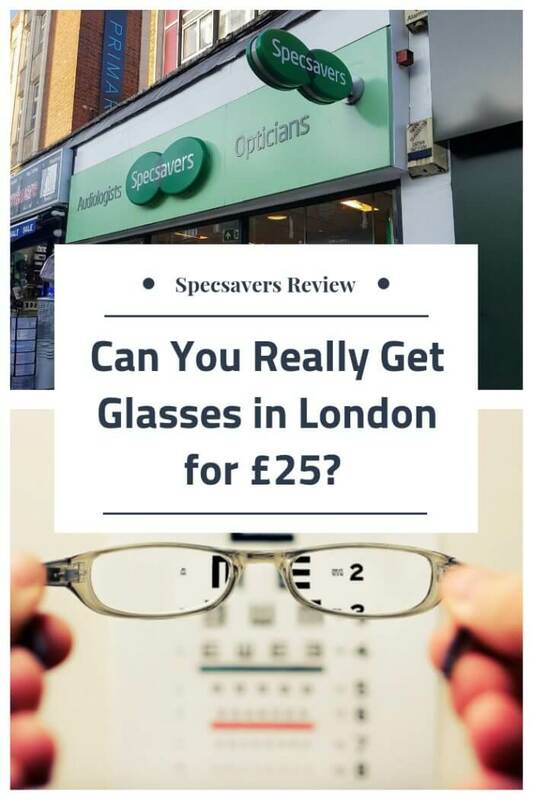 SpecSavers, the big UK opticians chain, has a reputation for being quite cheap. However, with confusing offers and marketing terms, you might end up paying more than you planned to. Glasses (and clothes) are the one thing I buy almost solely on the high-street, and not online. Sure, there are plenty of reliable websites where you can order glasses online – that is, if you know your prescription hasn’t changed, and don’t mind getting glasses without trying them on first (Check out Glasses Direct if you’re looking to buy online). However, perhaps it’s me being a bit old-fashioned – but I would rather try on the different frames in the store, and pick ones that look – and feel – good. I’ll describe what happened in detail, but here’s a spoiler: the glasses were good, but ended up costing quite a bit more than we had planned. 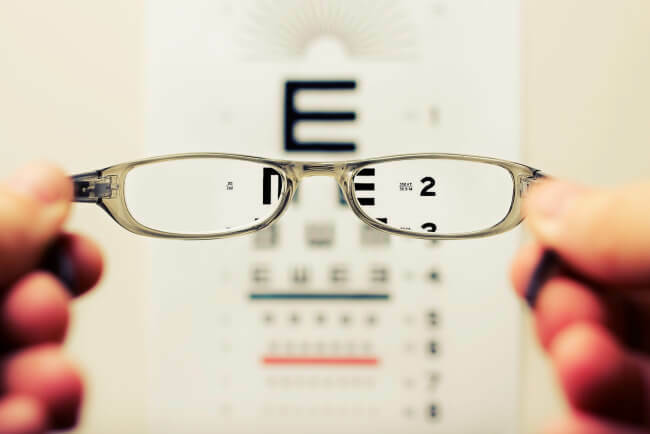 Some people are entitled to free eye tests via the NHS (and some can even get vouchers for cheaper glasses) – Anyone under 16, 16-18 in full-time education, anyone above 60, people who are at risk for glaucoma, and a range of other conditions – see the full NHS list here. 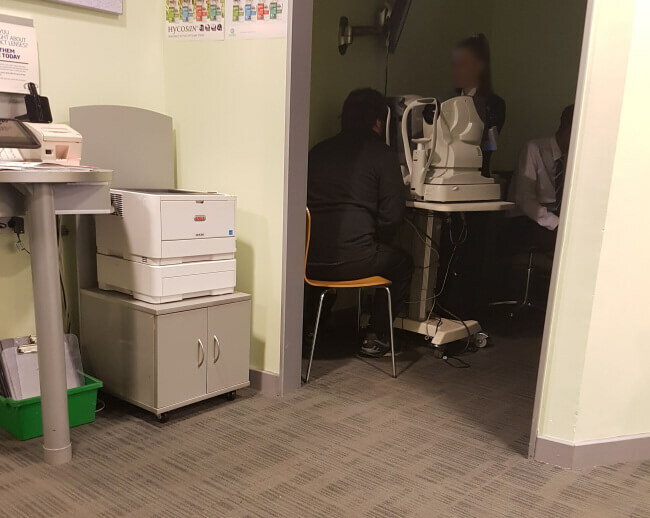 But worry not – even if you’re not entitled to a free NHS-funded eye test, it’s quite easy to get a free one, as most optician chains (as well as some independent stores) in London (and the UK) offer vouchers and deals for free eye tests, where they give you your prescription. Note that in many cases, even after the free test, you are under NO OBLIGATION to buy your glasses at the same store – in fact, you could get your prescription and then buy your glasses online, or at a different store. But naturally, many stores will gently “encourage” you to then buy your new glasses right there and then, which is why they offer these free tests to begin with. Boots, for example, are offering eye tests for £10 these days, but the price goes down to free IF you buy your glasses from them. Occasionally though, they offer Free-Without-Conditions eye test vouchers, so keep your eye out for those (no pun intended) if you prefer Boots. We, however, were going for SpecSavers – and it’s quite easy to get free eye tests with them – though it depends on your local store. Sometimes the tests are totally free, and sometimes they charge £5 – you can check what the stores near you are offering, using your postcode, with this link. We happened to go to the SpecSavers in Lewisham (that’s in South East London), with a totally free eye test voucher. It’s best to book your test in advance – which we did – because their stores are often small, and can get crowded pretty quickly. Even if you do book ahead, you can still end up waiting for a while (at least according to several other reviews I’ve read) – though we only had to wait for about 10 minutes. Maybe it was due to the fact that our appointment was pretty early in the morning – by the time we left, the place was already packed. The team members were all polite and professional. The examination tests more than your vision – it includes an examination of the front and back of the eye, and looking for medical conditions such as glaucoma. Some of the tests were done with a big (and somewhat scary) machine, and the others were done by the professional optometrist. So far so good – after an examination that took about 10 minutes, my husband came out with his new prescription (a minor change in one of his eyes) – and it was time to purchase new glasses. That’s when things started to get confusing. To be fair, when we came back a week later, the £25 selection was bigger – about 10 this time – but still, this goes to show the cheapest selection is pretty low, and depends a lot on the branch you visit – and even the day of the week you happen to visit on. Being, well – Savvy Londoners – we weren’t going to pay for costly Designer Brands that are basically the same as other frames except for a fancy name. So we managed to pick £25 frames (from that impressive selection of three! ), and went to find that elusive “stylist” who would fit the new prescription to the frames we picked, and take our money. Realising we’re picking things for ourselves, the first shop assistant (better known as Marketing Guy No. 1) was shocked to find out we weren’t told about their 2for1 offer. 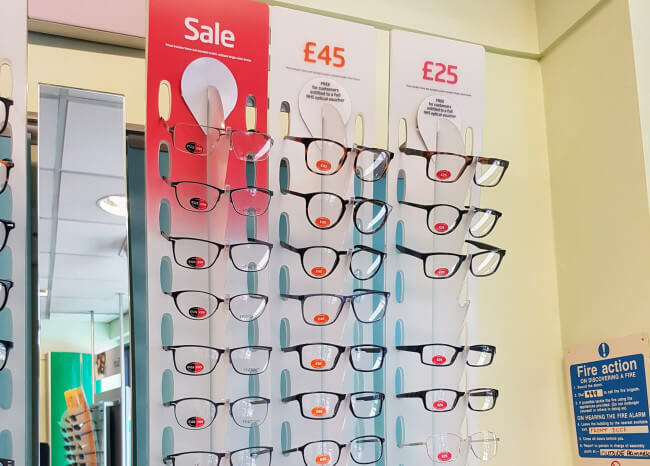 The SpecSavers website says that you need to get £69 frames (or above) for the 2for1 deal – though the Lewisham store person said ALL the frames were eligible (even the £25 ones) – so this might change according to your local store. However, as you might expect, there’s a catch – for the extra pair, you get the “standard 1.5 single vision lenses”, without any special coatings. If you want any special coatings – or thinner and lighter lenses – you would have to pay extra – for BOTH glasses. (Though you could also get one with the special coatings by paying extra – and one without any coatings, serving as an emergency pair, for example). We opted not to go for the 2for1, and were so happy we managed to find a decent £25 frame. We finally sat down with the Marketing Guy No. 2, but he looked worried. Sounds reasonable (the prescription was indeed kind of high). But that’s where things got really confusing. First, there were no £25 frames suitable for the thinner lenses, so we had to go for a more expensive model. Then, the salesperson started telling us about all the mind-boggling offers and prices and what’s included with what. Adding “Extra Thin” lenses would cost us £45 (above the price of the frames). However! if we get frames from the £69 range, the Extra Thin add-on is “free”. But extra thin isn’t enough for most frames, at least with our prescription. No worries! With the £69 frames, the Super Thin lenses would only cost £20 more (instead of the official £65, which I’m guessing no one ever pays). We could also get the Ultimate Thin, for £50 above the £69 of the frames. Of course, we COULD theoretically get £45 frames, and then add the official Super Thin price of £65. But that would come down to… £110. So naturally, we’re better off buying the £69 frames, and adding £20 for a total of £89, right? And that’s without even mentioning the other optional coatings (which we didn’t go for). Confused yet? You should be. 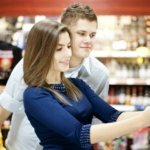 This kind of pricing and Special Offers makes it almost impossible to plan ahead – or easily compare prices with other stores. 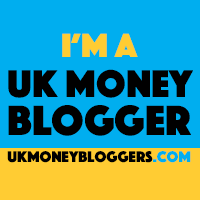 We ended up paying £89 – was that cheap? Could we find cheaper glasses online? (Probably). Could we find cheaper glasses in other high-street stores? Hard to tell. So of course, you’re still waiting for the most important part – how were the glasses? Well, we had to wait a week for them to be ready, but eventually they arrived, and my husband is quite pleased with them. They look good, he can see clearly now, and the price was… decent. Personally, I would appreciate some more clarity (no pun intended) with the prices. And don’t forget, I’m the so-called Savvy Londoner – people who are more inclined to be influenced by slick salespersons, might end up with even more Super Duper Ultra Coatings, and pay much more than necessary. So sometimes, what looks cheap on the outside, goes up once you go inside. It’s also a bit unsettling when something which is medically oriented – like glasses – gets mixed up with marketing persons. How are you going to know whether the salesperson is recommending a certain coating because it’s good for your health – or because he gets a higher commission? 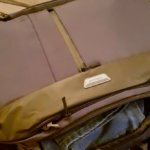 The one thing I can recommend is to research your needs beforehand – decide on the types of coatings and lens thickness you’re going to go for – and try to stick with it at the store.